A celebration of the iconic music of Broadway and more, The Four Phantoms brings together four former Phantoms from the Tony Award-winning The Phantom of the Opera for an unforgettable night of entertainment. 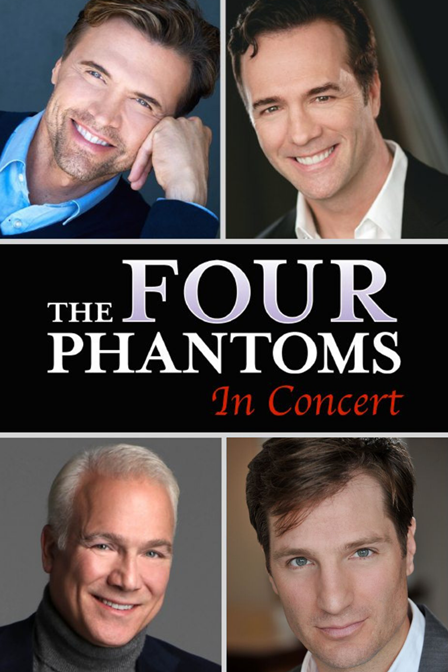 The Four Phantoms features an extraordinary quartet of performers, including Brent Barrett, Ciarán Sheehan, Franc D’Ambrosio, and John Cudia under the musical supervision of two-time Grammy Award-winner David Caddick and musical direction of Ryan Shirar. Combined, they have performed the title role over six thousand times. They are joined by special guest Kaley Ann Voorhees, who is currently playing the role of Christine in the Broadway production. A one of a kind night, and the only performance by The Four Phantoms in Wisconsin in 2019.